Estella's Revenge: April 2016 Recap: Read More Than I Thought! April 2016 Recap: Read More Than I Thought! I definitely read more than I realized in April. It feels like my reading is dragging, but I think I'm a little over my average thanks to the Readathon. 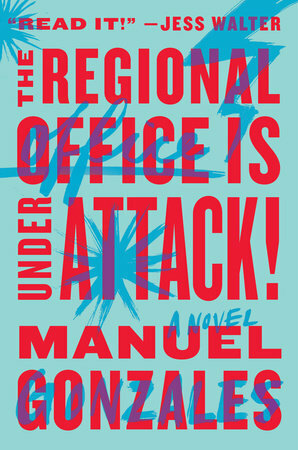 The first book under my belt was The Regional Office is Under Attack! by Manuel Gonzales. I haven't been so much into the reviewing lately, but I did have to rave about this one. Another book I really enjoyed was 13 Ways of Looking at a Fat Girl by Mona Awad. I really loved this one and found it thoughtful and it really resonated with me. I'll try to work up a review! 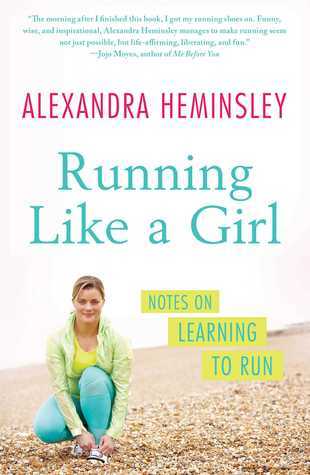 Running Like a Girl: Notes on Learning to Run by Alexandra Heminsley was a DELIGHT. Heminsley dedicated herself to running a marathon long before she was ready, and for that I thought she was nuts. But her story of coming into her own was a wonderful journey that made me wake my husband up laughing at night when I was reading in bed. And boy, did I ever cry when she succeeded! 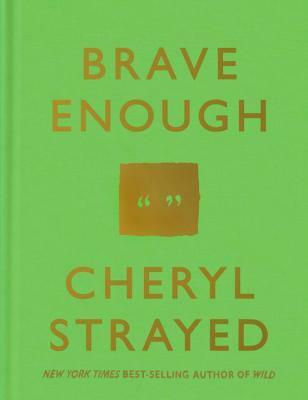 Brave Enough by Cheryl Strayed was a surprise gift from Katie of Can't Get There From Here. It came to my mailbox with a wildly appropriate and sassy card. In light of having left my job and having made some big life changes, this one was just the thing. I have dog-eared (because that's how I show my love) SO MANY PAGES. Strayed's writing is full of quotable bits, and this book was a great collection of those to keep me motivated. Sadly, the two comics I read this month didn't pan out for me. 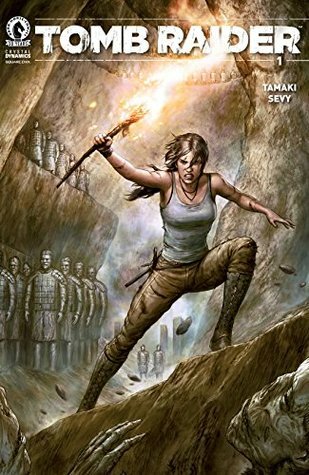 Tomb Raider #1 and Ikebana were both too short and underdeveloped to be satisfying, though in Ikebana's favor, it had a much more innovative plot. I capped off the month with two more big winners. Is Everyone Hanging Out Without Me? by Mindy Kaling is just as charming and funny as I'd heard. I listened to this one on audio during Readathon, and there's no better way to experience Kaling's anecdotes. She has such a unique voice, speaking- and writing-wise, and I found her wonderfully snarky, smart, and ironic. Go, Mindy, go! Finally, Belzhar by Meg Wolitzer, is my biggest Readathon achievement and my big #ReadMyOwnDamnBooks achievement for the month. This one has been lingering on my TBR for what seems like forever, and I finally forced myself to pick it up. Once I gave it a fair shake, I was hooked. I thought it did a great job of portraying the all-consuming nature of adolescent relationships...especially for those teens who are not born well-adjusted (because how many really are?). It was not a great #ReadMyOwnDamnBooks month (one out of eight), but it was a great reading month. That looks like a great mix of books! 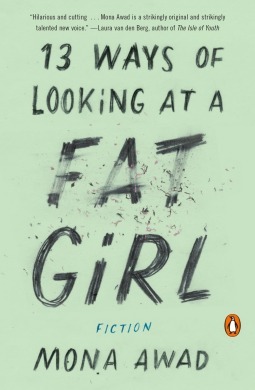 I read 13 Ways of Looking at a Fat Girl last month too, and I really liked it. I was scared because it has gotten such mixed reviews. I really want to read The Regional Office Is Under Attack. I haven't read too many reviews of 13 Ways, but it resonated so deeply and truly for me. I'll have to take a look and brace myself! Looks like a pretty great month to me! 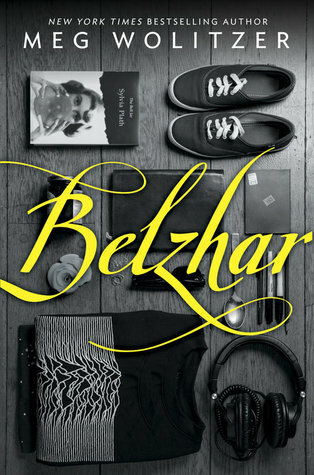 I thought the same thing about Belzhar - I have a tough time with YA, but really loved that one. Me too, but it was just so good. Wolitzer ftw! You had a great month! I'd like to read that Mindy Kaling book. Happy May! It was so much fun. She's just the funniest and smartest. LOL, we have work to do don't we? Smash it! Hahaha, surprisingly yes! This is what happens when I don't pay attention. I should pay attention less! SO GLAD you loved BRAVE ENOUGH! I happened to see it at just the right moment and thought of you SO HARD!! I am also glad to hear you are a fellow-dog-earer. Because sometimes it's just necessary!! I read 32 books this month, thanks to Readathon. 7 of them were my Own Damn Books, which might sound like a small number, but is a goodish dent for me! Only 11 to go! What timing! I will treasure this book. So perfect. HOLY CRAP 32 BOOKS?! WHAT? That's amazing! I think you were one of the first people I saw raving about The Regional Office is Under Attack! (which I'm hoping to get to in May, but reading moods vary by the hour sometimes). I'm also going to look into Running Like a Girl - sadly, I can't run at the moment because of one of my knees, but I've been trying to stick to my fitness routine that's low impact. I also was surprised at how much I read in April, and am hoping that my reading is now back on track (mostly meaning just reading frequently). Good luck with a low impact fitness routine, Casey! Here's hoping your knee will cooperate soon. Running Like a Girl and Regional Office are so much fun! I'm also hoping my reading is back on track! Cheers to us! I had one of those months, too. I thought I wasn't doing that well, but managed 12 books and Mt TBR is almost back to its 1 January total. 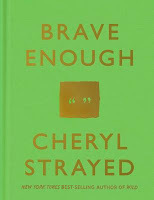 I keep hearing good things about Cheryl Strayed. Perhaps I'll have to check her out. The Regional Office is Under Attack looks pretty tempting, too. 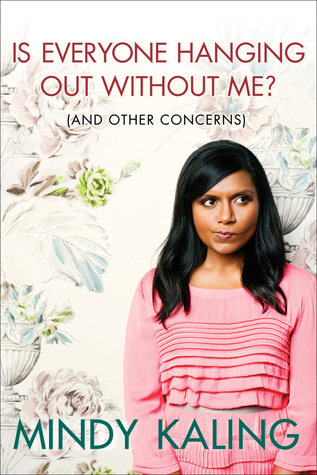 Oh, my gosh; I think the ONLY way to read/hear Mindy Kaling's books is via audio. She is so great. I read this one first, then listened the second time around; I've only listened to her second one and it was really good, too. I'm so glad you enjoyed it!